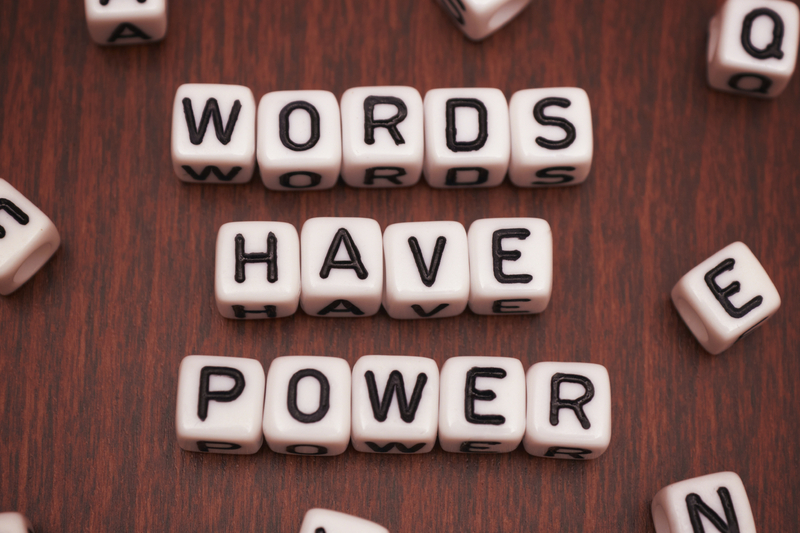 “Words are important.” This is a phrase I’ve uttered many, many times – both in my previous position as Marketing Director and my current position as Library Director. Whether we are using words to demonstrate the promise of our brand or choosing words to describe our strategic direction, words matter. This will be the first in a series of posts that illustrates that it’s not just about what we say, it’s also about how we say it. Sound familiar? In a certain sense, there’s nothing wrong with these ads – they most likely served their purpose. ATPL probably hired people into both of these positions. That quote is from Michael Overell, co-founder of RecruitLoop, a marketplace for independent recruiting, and included in a very good article from Inc, titled 9 Steps to Writing Job Ads Top Candidates Can’t Resist. Words aren’t the only important thing. People are important – those we serve and those we employ to serve them. Personally, I want to attract and employ people who are engaged, creative, strategic, and customer-focused. If the words I use in job ads – often the first impression potential employees receive of the organization – are formal, bureaucratic, and impersonal, then chances are I’m not going to attract the folks I’d like to. 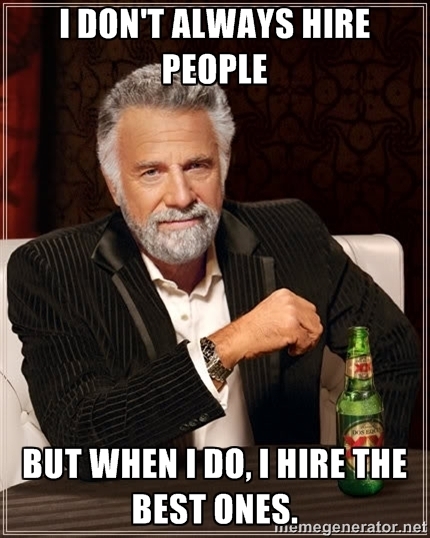 And attracting and hiring the right people is incredibly important. After all, personnel costs make up the majority of any library budget. If the acronyms ILS, RFID, and PCRes excite you, then consider applying to be our Library Systems Manager. Chapel Hill Public Library opened a newly expanded and renovated facility last year which includes state of the art technology for the public and our staff. We are looking for someone who will effectively manage this technology and help us realize the greatest ROI on it. A/V production. DIY crafts. Homework help. Cooking competitions. Reading recommendations. Cartooning. Personal finance. College prep. Health Information. Videogame tournaments. Book clubs. LGBTQ issues. Job prep. Tech skills. The youth of Chapel Hill have spoken! Tweens and teens in our community want more responsive programs and services based on their needs and interests – in the library’s Teen Room, at our Parks and Rec facilities, and all around town. We are looking for someone who can help us meet this demand and grow the Town’s slate of engaging, entertaining, and educational programs and services for youth. Can you book talk ‘til you’re blue in the face? Do you know how to engage a Regency Romance reader, even though you’re a Sci Fi buff? Do you constantly pin, tweet, and post reading recommendations? Is Nancy Pearl a personal hero of yours? If this sounds like you, consider applying to be our Readers’ Services Coordinator. Chapel Hill Public Library has a strategic goal of better serving adult readers – in the library, online, and out on the community. This new position will lead this effort and develop innovative services and engaging programs that will get even more adults in our community excited about reading. This position is a part of our newly formed Library Experiences Division and will supervise 6-8 Library Experience Assistants and Specialists. You’ll also need to have an MLS, at least three years of RA experience, and we’d prefer some supervisory experience as well. In each of these, we link to the more formal job descriptions, which generally must exist within the confines of HR and use the associated language (stooping, bending, lifting, squatting are some of my favorite aspects of a job description). However, in each of these, we lead with much more engaging language that telegraphs what kind of person we are looking for (enthusiastic, energetic, innovative) and what kind of organization we are (future-focused, strategic, collaborative). And in each of these, we had great candidates (many of whom commented on the refreshing tone of the job ad) and ultimately, great new hires. The next time your library has a chance to recruit, whether for a part time library assistant or a deputy director, consider the opportunity that the job ad presents – and don’t forget to think like a marketer. Lessons to Library School Grads – Don’t Be Vader. I have just started a discussion with my library director about what language we use to talk about our library. The timing on this post is perfect! I look forward to more.